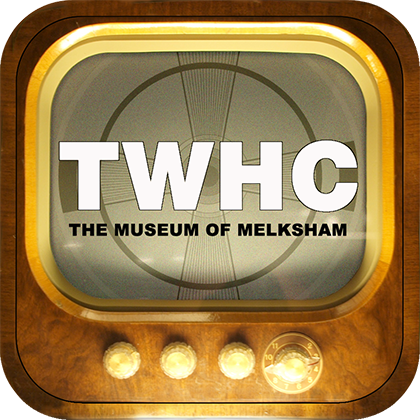 Coloured pink on plan All those 3 Substantially and Recently Erected Freehold Cottages, and Gardens, situate close to the Town of and in the Parish of Melksham, together with TWO VERY RICH PIECES OF MEADOW LAND adjoining, known as SHURNHOLD MEAD and EST MEAD, being No. 796 and Part of No. 1207 on the Tithe Commutation Map, the whole containing by admeasurement. (more or less,) now in the occupation of Messrs. Crook, Ticker, and Missen, and producing an annual rental of £81:0:0. 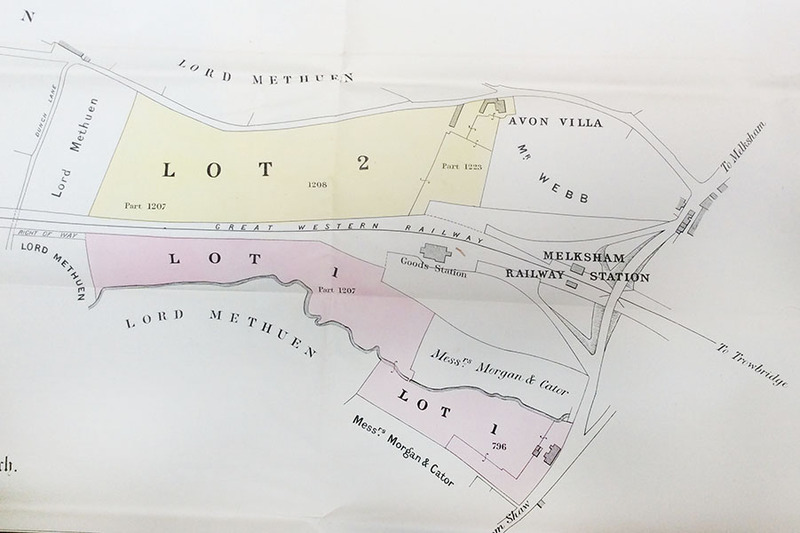 The Property is bounded on the North by Land of Lord METHUEN, on the East by the Great Western Railway and Land of Messrs. Morgan and Cator, on the South by the public Road leading from Melksham to Shaw, and on the West by Lands of Lord Methuen and Messrs. Morgan and Cator. There is a right of road 20 feet wide into the Lot on the North side by way of Dunch Lane. 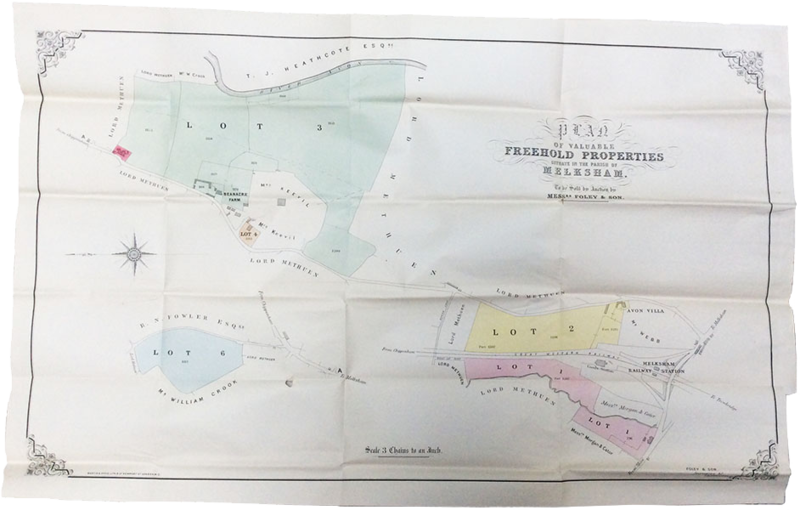 Coloured yellow on plan All that recently erected and Substantially Built Freehold Residence, known as "Avon Villa,"
(more or less,) and now in the occupation of Isaac Smith, Esq., at an annual rental of £80:0:0. 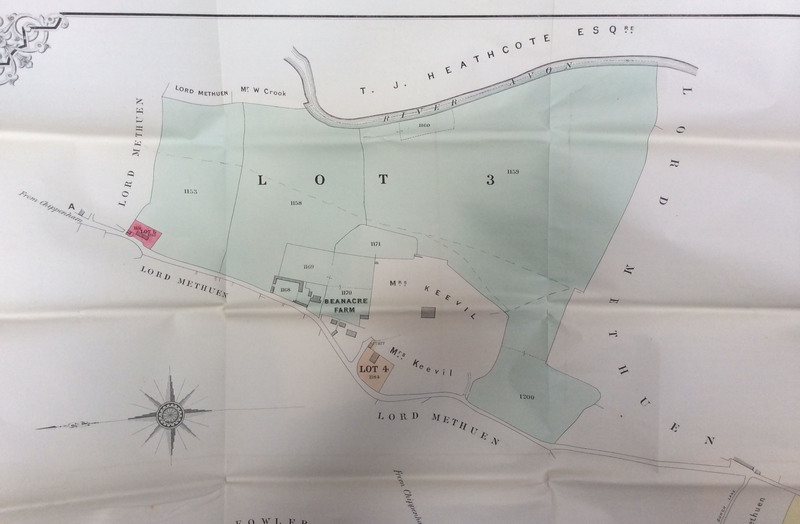 The Residence comprises on the Ground Floor, Entrance Hall, Drawing and Dining Rooms, Breakfast Room, China Pantry, Kitchen, large Back Kitchen fitted with Copper Boiler, Oven, and force Pump, Larder, large Store Room 36 ft. by 16 ft., Coal and Wood Houses, Cellar, and other Offices. The First Floor, which is approached by an open rail Staircase, comprises Two large front Bedrooms, and Dressing Room, Three Back Bedrooms, and W.C. The Coachman's Cottage ad the Outbuildings are of a most convenient description, and the Premises are well supplied with water. The present Tenant hold a Lease of this Lot for 3, 5, or 7 years, to be computed from the 25th day of March, 1880. 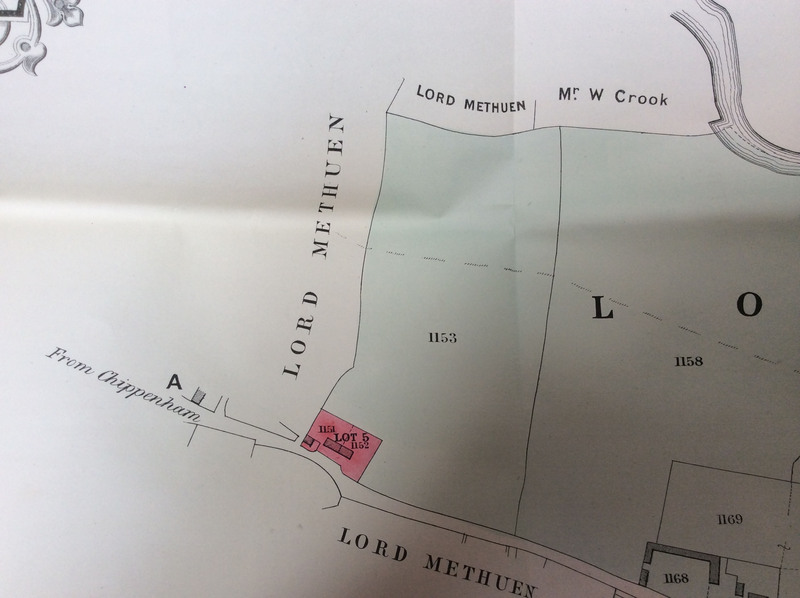 The property is bounded on the North by Land of Lord METHUEN, on the East by the public Road leading from Melksham to Lacock and Chippenham, on the South by Land of Mr. WEBB, and on the East by the Great Western Railway. The fine Stream of the River Avon bounds the Property on the East Side, and provides a never failing supply of water. (more of less,) now in the several occupations of R. Satchel, A. Curnick, C. Skuce, and Ruth Hunt, and producing an annual rental of £22:4:0. (more or less,) and now let (with Beanacre Farm,) to Mr. W. H. Pocock. 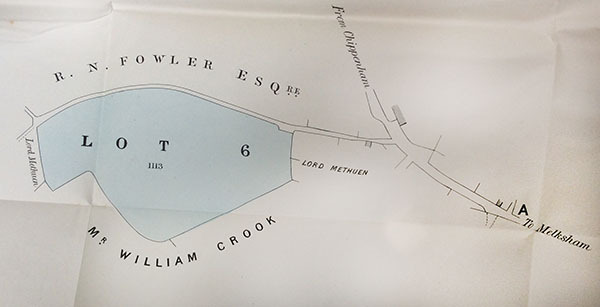 This Lot is bounded on the North and South by Lands of Lord Methuen, on the East by the Lane and Land of R. N. Fowler, Esq., and on the West by Lands of Mr. William Crook. 1. NO person shall at any bidding advance less than Five Pounds, or such other sum as shall be named by the Auctioneers, and no bidding shall be retracted: the highest Bidder shall be the Purchaser; and if any dispute arise respecting a bidding, the Property shall be put up again and re-sold. The Vendors reserve the right of bidding as they please by their agent for each Lot. 2. The Purchaser shall, immediately after the sale, pay a deposit in the proportion of £10 per cent. of the purchase money to the Vendors or their agent, and sign the subjoined agreement, and shall pay the remainder of the purchase money and the amount of the valuation of the timber and other trees, on or before the 24th day of December next, between the hours of 11 and 3 o'clock, at the offices of Messers. Rodway, Mann, and Rodway, in Trowbridge, Wilts, when and where the purchase is to be completed; and upon such payment the Vendors, and all other necessary parties (if any) will execute a proper assurance to the Purchaser; but such assurance and every other assurance and act which shall be required by the Purchaser for getting in, surrendering, or releasing any outstanding estate, right, title, or interest, or for completing or perfecting the title, or for any other purpose, shall be prepared, made, and done, by and at the expense of the Purchaser. 3. The timber and other trees down to the value of one shilling per stick on each Lot, shall be paid for by the purchaser in addition to his purchase money, at a valuation to be made by the Auctioneers at the present Sale. 4. The Rents or possession will be received or retained and the outgoings discharged by the Vendors, up to the said 24th day of December next, and as from that day the outgoings shall be discharged and the rents (if the lot be let) or possession (if void) taken by the purchaser; and such rents and outgoings shall if necessary, be apportioned between the Vendors and Purchaser for the purpose of this condition, and where two or more Lots shall be held at one entire rent, the same shall be apportioned between the Purchasers of those Lots by the Auctioneers at the present sale, and it shall not be necessary to obtain the concurrence of the tenant in such apportionment. If for any cause whatever the purchase shall not be completed on the said 24th day of December next, the Purchaser shall pay interest on the remainder of his purchase money after the rate of £5 per cent. per annum, from that time to the day of payment, without prejudice however to the Vendors' right under these conditions, to re-sell if they shall think fit. 5. The Vendors, at their own expense, and within twenty-one days from the day of sale, shall (if required) deliver an abstract of Title to the Purchaser or his Solicitor, such abstract of Title to commence with the several and respective Indentures hereinafter mentioned: that is to say, as to No. 796 with an Indenture dated 4th April, 1857, made between WILLIAM GALE, JOHN ARNOLD, AND DAVID SELMAN of the first part, JAMES POCOCK of the second part, and JOHN SALWAY of the third part; as to 1223 with an Indenture dated 19th April, 1859, made between the Great Western Railway Company of the first part, JAMES POCOCK of the second part, and JUSTLY WILLIAM AWDRY of the third part; as to Nos. 1207 and 1208 with an Indenture dated 1st October, 1845, made between CHRISTOPHER BEAVEN and MARY his wife of the first part, JMAES POCOCK of the second part, and ISAAC BESSER of the third part; as to a right of way across No. 1206, with an Indenture dated 25th March, 1848, made between the Wilts, Somerset, and Weymouth Railway Company of the one part, and JAMES POCOCK, of the other part; as to Nos. 1173, 1200, 1159, 1177, 1160, 1175, and 1171 with an Indenture dated 30th September, 1845, made between GEORGE GUNDRY of the first part, WILLIAM GUNDRY of the second part, CHRISTOPHER BEAVEN of the third part, JMAES POCOCK of the fourth part, and ISAAC BESSER of the fifth part; as to Nos. 1168, 1158, 1169, 1170, 1179, 1161, and 1162, with an Indenture dated 30th June, 1855, made between Sir JOHN WITHER AWDRY of the first part, JAMES POCOCK of the second part, and JOHN JONES BUSH of the third part; as to Nos. 1151, 1152, and 1153, with an Indenture dated 25th March, 1851, made between JOSEPH HITCHCOCK and MARY his wife of the first part, JAMES POCOCK of the second part, and JOHN JONES BUSH of the third part; as to No. 1113, with an Indenture dated 9th March, 1852, made between SOPHIA ANNE GREENE of the first part, MARY WHITAKER GREENE and ROBERT ALFRED ROUTH of the second part, CHARLES WETHERELL ROWDEN of the thrid part, JAMES POCOCK of the fourth part, and JUSTLY WILLIAM AWDRY of the fifth part; and as to No. 1184, with an Indenture dated 15th November, 1858, made between JOHN FRICKER of the first part, THOMAS WITTS of the second part, JAMES POCOCK, of the third part, and CHARLES THOMAS MOULE of the fourth part; and no purchaser shall require the production of or investigate or make any objection in respect of the title prior to the said several Indentures respectively, whether appearing by recital, statement, or otherwise, or not appearing at all; and no purchaser of two or more Lots held under a common title shall be entitled to more than one abstract of such common title, except at his own purchase. 6. Each Purchaser shall admit the identity of the property purchased by him with that compirsed in the muniments offered by the Vendors as the title to such property, upon the evidence afforded by a comparison of the descriptions in the muniments, and of a statutory declaration to be made if required at the Purchaser's expense, that the purchased property has been enjoyed according to the title for twenty years. 7. 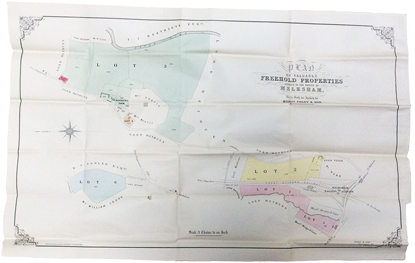 The agreements with the several tenants mentioned in the Particulars were made and entered into by Mr. RICHARD POCOCK. No objection shall be taken or requisition made on the ground that such agreements or any of them are not binding as between the respective tenants, and the Vendors, but the Purchasers shall in each case take the postion of the Vendors with regard to such agreements respectively. 8. In several instances some small strips of waste land, appear to have been enclosed and thrown into the adjoining closes. No objection shall be taken or requisition made with regard to the title of such strips of land. 9. The Purchaser shall make his objections and requisitions (if any) in respect of the title and of all matters appearing on the Abstract, Particular, or Conditions, and send the same in writing to the Vendors' Solicitors within fourteen days from the day of the delivery of the abstract, and in this respect, time shall be of the essence of the contract, and in default of such objections and requisitions (if none), and subject to such (if any), shall be deemed to have accepted the Title, and to have waived all other objections and requisitions; and if he shall insist on any objection or requisition as to the Title or Abstract, or evidence of Title, Particular, Conditions, Conveyance, or otherwise, which the Vendors may, by notice in writing, to be given to the Purchaser or his Solicitor, at any time, and notwithstanding any negociation or litigation in respect of such objection, or requisition, annul the sale, and shall thereupon return to the Purchaser his Deposit and fees, but without any interest, costs of investigating the title, or other compensation or payment whatsoever. 10. The Title Deeds (if any) which relate to other Property not included in the purchase shall be held by the Vendors until the whole of the property to which the same relate shall be sold, and then shall be delivered to the largest purchaser upon his entering into the usual covenant for the production thereof to the other persons interested; such covenant to be prepared at the expense of the person requiring the same, but to be perused and executed at the expense of the covenantor. 11. The Vendors being mortagees selling under a power of Sale, the concurrence of the mortgagor shall not be required, and the purchaser shall not be entitled to any other covenant than several covenants by the Vendors, and other conveying parties (if any) that they respectively have not incumbered the property. 12. The expense of the production and inspection of all deeds and muniments of title not in the Vendors' possession, of all journies, inquiries, and searches incident or with a view to such production or inspection, and of the making, procuring, and delivering all official attested and other copies of our extracts from deeds, wills, registers, receipts, releases, and other documents, and of all certificates, declarations, or other evidence as to pedigree or identity as well for verification of the abstract as for all other purposes, of stamping any unstamped or insufficiently stamped documents (if any), and of getting in and conveying any outstanding legal estate, term, interest, or title, and of obtaining any evidence or information not in the Vendors' possession shall be borne by the purchaser. 13. The Property is believed and shall be taken to be correctly described as to quantity and otherwise, and is sold subject to all chief and other rents, rights of way and water, and other easements (if any) charged or subsisting thereon; and if any error, mis-statement, or omission in the Particular be discovered the same shall not annul the Sale, but compensation to be settled, regard being had to the purchase money, by the Auctioneers at the present Sale. 14. The Auctioneers' Fee of one guinea for every £100 or fractional part of £100 up to £1,000, and half a guinea for every £100 or fractional part of £100 beyond £1,000, and the like Fee to the Vendors' Solicitors for a contract, shall be paid by the purchaser immediately after the Sale. 15. All damages which may arise to the Property by fire or other accident from and after the day of Sale shall be at the risk of and borne by the purchaser. 16. If the purchaser shall fail to comply with these Conditions, the deposit money shall be forfeited to the Vendors, who shall be at full liberty to resell the property either by public Auction or private Contract; and the deficiency (if any) occasioned by such second Sale, and all expenses attending the same shall be made good to the Vendors by the defaulter at this Sale; and in case of non-payment the same, notwithstanding the forfeiture of the deposit, shall be recoverable as and for liquidated damages; and it shall not be necessary to previously tender a conveyance to the purchaser, or the Vendors shall be at liberty to enforce the contract at their option. OViewing by appointment if you pardon our dust; we'll reopen to the public shortly.